When you drive right, you earn more – earn an additional 7 CPM in bonuses for drivers who are safe, efficient, and on time! You can also fill out our 1-Minute MiniApp on this page, and well contact you! Earn over $65,000 – new pay increase! 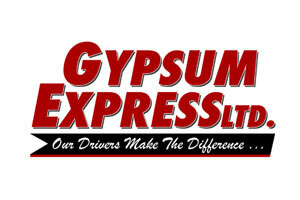 THIS is Gypsum Express – the home of professional CDL-A drivers with a purpose. Join us today in our Northeast Region and reap the rewards of driving for one of the largest flatbed carriers East of the Rockies. We’re currently seeking truck drivers to fill CDL-A flatbed truck driver jobs in our northeast regional division. Whether you’re a recent grad or a seasoned veteran, Gypsum has the truck driver job that you’re guaranteed to love. At Gypsum, we believe that our drivers make the difference. That’s why we take care of our CDL-A drivers with top industry advantages – like weekend home time and salaries climbing as high as $75,000 annually! compensation: Mileage and Accessorial (extra pay for everything you do not just miles). Gypsum Express is hiring regional, flatbed doubles drivers at our Baldwinsville, NY location! We’ve made some changes; $50.00 Tarping Pay, Tandem driver .57 a mile plus accessorial. Will train to do doubles on New York State Thruway, will train for flatbed. Earn $0.57 CPM in addition to three attainable monthly bonuses, safety bonus, tarp and accessorial pay. Over 1.9 MILLION paid out in Bonuses in 2017 “Bonuses” not weekly pay. Drivers that have been with Gypsum Express exceeded $100,000.00 for 2017. If you’re sick of the excuses, then start making improvements. Switch to Gypsum Express- become part of something different! Visit www.gypsumexpress.com or go to www.facebook.com/GypsumExpress to learn more about our company. Home Daily in Washingtonville with Gypsum Express!! 1200 a week guarantee pay!!!!! WE pay for DRIVING time and NON-DRIVING time!!! We are currently hiring local Class A drivers to join our team!! We offer a unique scope of short-haul operations in this area! This is a Full-time, home-daily position with a salary of up to 65,000!! !